This is most people's idea of a good home kneeling chair; it won "best in test" in a leading consumer magazine. Choose this if you will be sitting for short periods, but choose one of the chairs below if you will be sitting for more than an hour. It is very easy to fold up and lay flat, making it great for transporting from place to place. N.B: In our experience most "budget" chairs place too much pressure on the knees. 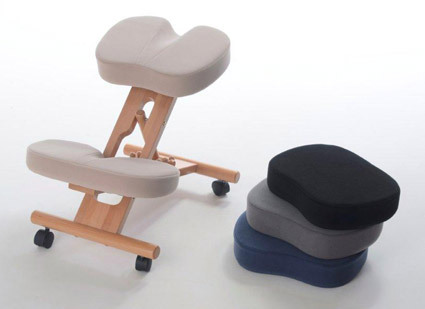 To sit for longer periods we suggest a higher quality chair. The Multi for example has a pivoting knee pad to decrease knee pressure. 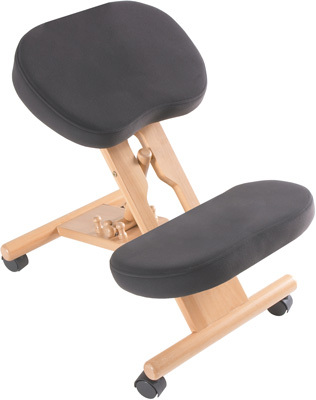 Excellent when sitting for short periods of time, and easily transportable.